Do Movies Require Too Much Homework? When do they cease to be merely entertainment and become an exhausting exercise? “Escapism.” That’s the word most often used to describe movies, especially ones involving far away lands or Gamma-irradiated do-gooders. But is it relevant anymore when movies seem to be requiring more and more extracurricular work in order to be fully enjoyed? When do they cease to be merely entertainment and become an exhausting exercise? The baton was then passed to comic book movies, which began the distressing practice of marketing only to fans, at the expense of everyone else. The trailer for X-Men Origins: Wolverine simply featured a montage of characters with their names splashed across the screen — Agent Zero, Emma Frost — which made two out of 10 people squee and the rest go, “So?” Green Lantern plastered bus stops with posters of heroic alien Tomar-Re, the inference being, “You should already know who he is.” It reached its peak with the pulp adaptation John Carter, a film that featured as its marketing strategy: “Hey! There’s a guy in a place and he does things.” There was no explanation that he was a Civil War soldier who gets whisked away to Mars and ends up embroiled in an alien war. The title might as well have been Some Guy. 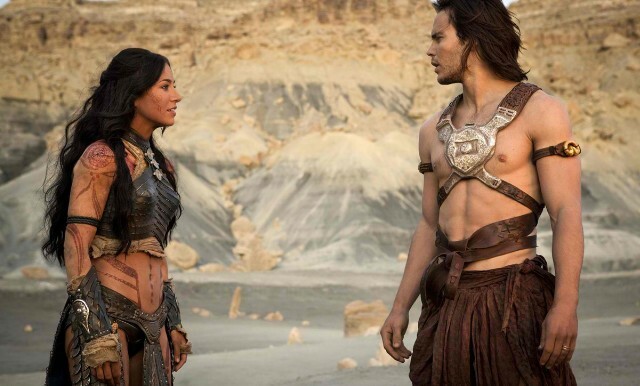 Of course, Wolverine, Green Lantern, and John Carter all got their comeuppance in the form of critical lambasting and box office failure (John Carter will go down in history as one of the worst bombs of all time). It seems that films are now content to be half-adapted pieces of a larger multimedia experiences rather than experiences in their own right. You are almost strong-armed into studying-up if you want to make heads or tails of anything going on onscreen. There’s no sense of sitting and discovering a movie because if you don’t already know what’s going to happen going in, you’ll be lost. Media integration is great if you are looking to enhance an experience, but is making it vital to the experience rendering movies tedious in addition to increasingly overpriced? Now, before this devolves too much into “get off my lawn with your new-fangled movies,” I have to take into account that Marvel Studios will unveil its grand experiment in movie continuity, The Avengers, this week. On the surface, you would expect a movie like this to require a community college course to keep up with all the intersecting plots and characters, but maybe, just maybe, Marvel is actually doing this one right. Putting aside the tie-in comic books used to promote the film (which are not required reading in the slightest), Marvel has kept its “homework” all in the same medium. Rather than assuming you’ve been following the 60-plus years of comic continuity, they only ask that you’ve seen the five lead-in movies, Iron Man, Iron Man 2, The Incredible Hulk, Thor, and Captain America: The First Avenger (perhaps “only” is understating it, but judging by their collective box office, you have). Marvel has simply amped up the sequel formula. If you picked up Lethal Weapon 4 without having seen the other three, you can’t complain that the movie doesn’t adequately explain who Martin Riggs is. While there will almost certainly be Easter eggs for the studious fans (hint: the end credit sequence) that’s not the same as hinging the entire last act of the film on the assumption you already knew the people in charge of the titular Hunger Games could summon monsters with a few keystrokes (not a movie-ruiner by any means, but if you hadn’t read the books it seems to kind of come out of nowhere in the film), or that you already understood Harry Potter had an elk as a spirit animal. Seriously, I still have no idea what the ghost deer had to do with anything and, well, the entire ending of Harry Potter and the Prison of Azkaban kind of depends on it. C’mon. If we wanted to read, we’d have stayed home.